It's not an intuitive process, but it is possible to stop auto-playback on kids profiles in Netflix. Netflix makes it so easy to keep an entire family’s viewing habits separate thanks to multi-user profiles on a single account. But one thing that’s not so easy—or at least not obvious—is how to stop TV show episodes from auto-playing on a child’s profile. Binge watching is lots of fun, but not if you’re trying to curb your kids’ viewing time. With auto-play turned on you’re always checking for when the credits start on your kids’ favorite show. An easier strategy is just to turn off auto-play, but it’s not obvious how to do that on a kids’ profile. The “Who’s watching?” screen in Netflix for PCs. The first thing you want to do is open up Netflix in your web browser on a PC. 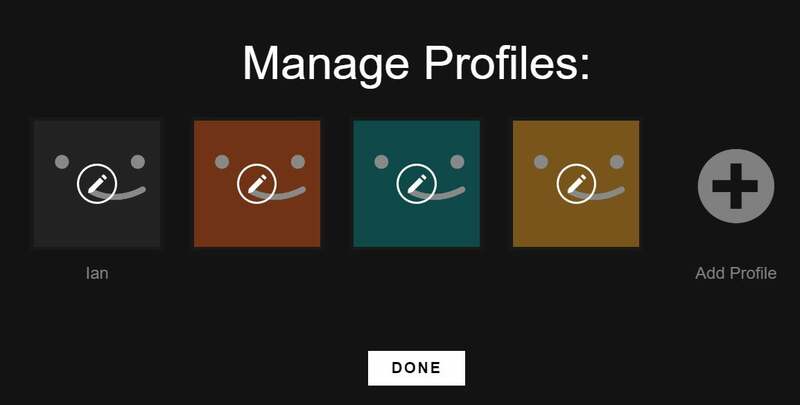 Next, when the “Who’s watching?” screen appears, click Manage Profiles below the profile pictures. If you don’t see the “Who’s watching?” screen (pictured above) click on the profile picture in the upper-right corner of the Netflix homepage, and from the drop-down menu select Manage Profiles. Choose which profile you want to edit. Now there should be a pencil icon at the center of each profile picture, indicating that you can make changes to the profile. Select your child’s account and then on the next screen uncheck the Kid? box. Now press Save and then back on the Manage Profiles screen click Done. Inside an individual profile page. What we’ve done is temporarily change your child’s account into an adult account. When in kids mode these profiles can’t be adjusted directly, which makes sense since you probably don’t want kids meddling with their own (or your) profile settings. Anyway, now select your child’s account from the “Who’s watching?” screen to land on their viewer dashboard. Once you’re there, hover your mouse over the account icon and select Your Account. On the account management page, in the My Profile section, select the Playback settings link. Finally, on the next screen uncheck the Auto-Play box labeled Play next episode automatically. Next click Save. Now it’s time to convert this profile back to the kids’ zone. Hover over the account picture in the upper-right corner again, and select Manage Profiles. At this point we’re repeating what we did earlier: Select the child’s profile picture again, on the next screen check the Kid? box, click Save, and then Done. It’s an annoying process, but that’s the way it’s done right now. It would be better if Netflix allowed adult profiles to directly manage child profiles, but it doesn’t. Once you’ve adjusted your child’s profile, the changes should sync across all the devices you use with Netflix. In my tests, the changes didn’t affect the Apple TV until I restarted the set-top box. Your experience may vary.